We’ve met Claudia a few weeks ago and she took us on a journey. We talked about her path to becoming a Nutritional Therapist, about the ingredients that nutritional therapists check on food labels and ambient fine food and hospitality businesses that inspire her. How did you end up being a Nutritional Therapist; how did it all start for you? I have always had a conscious relationship with food, as far as I can remember. I’ve always instinctively avoided fatty foods and overeating but initially, this was more led by the desire to keep my body weight stable rather than realising how much nutrition impacts our health. After moving to London eight years ago from a small city in the vicinity of Venice I was introduced to big food chains, ready meals and fast food joints the city offers. I was initially attracted by the novelty but shortly after realised this was not the right way to eat. My background is in beauty therapy. Couple years after I moved to London, I started working as a beauty therapist in a Spa Centre which also offered services from nutritional therapists, herbalists, osteopaths and just generally transpired a strong health-conscious culture. After a couple of years of investigation, I then decided to enrol at the College of Naturopathic Medicine (CNM) in London from where I just recently graduated. What does healthy food mean for you? What is the guiding principle of your very own nutrition? Picking foods that include whole grains, consuming healthy fats such as nuts, avocados and olive oil and treating myself with dark or raw chocolate and healthy snacks free from refined sugars, additives and preservatives. Consuming eight portions of fruits and vegetables per day is a prerogative in my daily routine to assure the right intake of vitamins, minerals, proteins, fibres and antioxidants. Drinking two litres of water is also a must. We are composed of about 60% of water, so it’s no surprise it is the key factor that encourages digestion, excretion, absorption, transportation of nutrients, helps maintain a balanced body temperature and maximises physical and mental performance. In my diet, I also ensure a moderate intake of oily fish such sardines, mackerel, anchovies, and salmon. These are important because they are rich in proteins, minerals and vitamins but also provide Omega 3 which reduces the risk of cardiovascular disease and reduces symptoms of joint pain and skin conditions such as eczema and acne. Research proves that it can also help with depression and mood disorders! Omega 3 is also present in plant-based foods like chia and flax seeds, walnuts and pecans, hemp seeds and others – I especially like eating these for breakfast and as snacks during the day. Do you feel London as a city has a variety of fine healthy food options to choose from? And I mean from Snacks to restaurants and eating out places? I find that London offers a great selection of cafes and restaurants which use good quality local ingredients in their cooking. However, they’re not always easy to find and tend to be more concentrated in specific areas of London where the demand is higher. Some areas of London provide no healthy choices and you’re stuck to having to depend on chains or low-quality supermarkets. Being a food label reader, I can’t deny that sometimes I really struggle to find options that are free from added sugars, preservatives, refined carbohydrates. Even though it is becoming much more popular in recent years, in some areas of London, as previously mentioned, it is still common to experience difficulty in finding healthy drink options (with the exception to popular juice bars) such as non alcoholic beverages made of fresh fruits and veggies, water infused with fresh fruits or fermented drinks such as kombucha or water kefir. I am a big foodie so I enjoy trying out new restaurants, exploring different types of cuisines and London really does offer a great variety of good quality restaurants. Many people forget or are unaware of how important cooking methods are and how much they can impact our health. Low heat and slow cooking are preferred to preserve minerals and vitamins and reduce the formation of carcinogenic elements within the food. Let me give you an example – If you’re having a pizza in a restaurant, make sure to check the base of it before eating it. If underneath the pizza you notice the dough has turned excessively black, it means that pizzeria doesn’t clean their oven enough and the flour from the previous pizzas has been carbonated over and over and it is now sticking to your pizza. Ingesting this is very unhealthy as it contains carcinogenic elements. What are the Top 3 ingredients that nutritional therapists avoid/ pay attention to on food labels that fine food producers should be aware of? Could you describe why for each one? The top 3 ingredients that I avoid in food labels are refined or artificial sweeteners, artificial preservatives, trans fats. This can lead to mood swings, headaches, fatigue and cravings for more sugar. In general, eating too much sugar can lead to obesity and diabetes and it can deplete the body from some vitamins and minerals such as vitamin A, C, B12, folate, magnesium, calcium and chromium. Moreover, cancer cells, bacteria and yeasts they all need sugar to grow! Sugar can also aggravate inflammatory conditions such as eczema and arthritis. Artificial sweeteners too, have been proven to have many dangerous side effects, therefore it is important to be cautious with these as well. Artificial preservatives also have many side effects including exacerbate breathing problems in asthmatic people, behavioural changes especially in young children, weakening of the heart tissue and when digested, preservatives have the ability to transform into carcinogen leading to the formation of cancer-causing agents. Last but not least is trans fats. These are made by adding hydrogen atoms to a liquid vegetable oil to prolong the shelf life of ready meals and pre-packed food. These trans fats found in margarine, cookies, processed meals, crisps and other, are well known to cause inflammation and raise LDL cholesterol and triglycerides which can promote the hardening and clogging of arteries increasing the risk of heart disease and cancer. What are the Top 3 ingredients that nutritionists want to see on food labels that fine food producers should be aware of? Could you describe why for each one? As a nutritional therapist, I am always seeking products that replace flour 00 with none refined alternatives such as spelt, brown rice, wholemeal, coconut and quinoa flour. For example, raw almonds are more nutritious compared to roasted ones because they maintain all the nutrients while heat tends to kill a high percentage of these. Raw chocolate is always a better choice to processed chocolate. Olive oil is better when cold pressed, and so on. It is commonly known that too much salt in your diet can be harmful – it can cause high blood pressure, high cholesterol leading to cardiovascular diseases. Herbs and spices are often recommended to replace salt. You’ll need those that are most flavorful and offer a nice tasty bite like salt does. The best ones are: cumin, cayenne, paprika, black pepper, oregano, lemon peel, garlic and onion powder, and rubbed sage. Do you feel that speciality and fine food producers care more nowadays about the selection of their ingredients? No refined sugars, no salts, no GMO, no palm oil, aspartame free, vegan, gluten-free are more and more visible on the food packaging nowadays. Have you encountered one or two ambient fine food products recently that really inspired you? Can you describe why? A place that really inspired me is “Roots Juicery” in central London. This is an independent cafe that provides cold pressed juices using local and organic products. Their kitchen is in the same building and they use the finest machinery to extract and maintain all the nutrients found in the fruits and vegetables. They also prepare great lunches and raw vegan desserts. 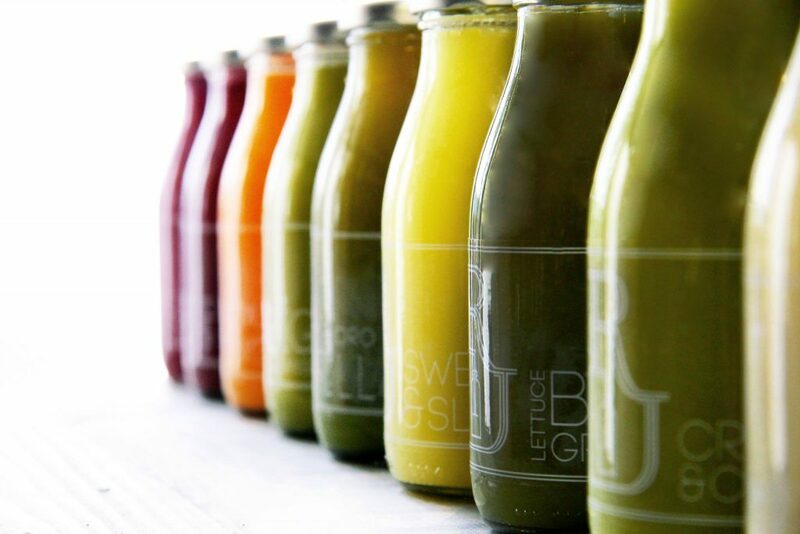 Moreover, they offer juice delivery service which is great for who wants to cleanse and detox program but has no time to prepare the juice themselves. A product that is worth mentioning is the Ombar chocolate bar. Their raw chocolate is made of organic ingredients and unlike many other raw chocolates which tend to be quite hard and a bit ‘grainy’, Ombar has a creamy texture given by the coconut cream and a rich deep chocolatey taste. It is a UK brand and they offer a good variety of different flavours and combinations of ingredients. I couldn’t recommend it more! If one of our readers wants to reach you, to test their product or for a consultation what would be the best way to do that? I am available for face to face consultations. My passion is to empower people to achieve peak health and wellness through a combination of personalised dietary strategies, exercise suggestions, stress reduction and carefully selected nutritional supplements. My approach seeks to address root causes of illness rather than merely managing symptoms. Become a founding member and help make the food supply chain in restaurants simple and transparent. © Copyright 2019 Todelli Ltd.